PETAH TIKVA, Israel, Sept. 7, 2018 /PRNewswire/ -- Leviticus Cardio, inventors of the versatile transcutaneous Coplanar Energy Transfer (CET) system for use with implanted left ventricular assist devices (LVADs), announces the successful completion of a 90-day preclinical chronic animal study to evaluate its CET technology in combination with a commercial heart pump. The trial was conducted at a renowned animal facility operated by the Catholic University of Leuven, in Belgium. This study marked the third successful trial of the Leviticus CET used in conjunction with a commercial heart pump. "The successful completion of this third long-term chronic trial utilizing the Jarvik 2000 LVAD pump coupled with the Leviticus wireless CET system, demonstrates the desired versatility that addresses an increasing patient population suffering from advanced heart failure. Besides the robustness and stability of the system, we are particularly excited about the excellent outcomes on chronic animal tissue interactions," states Professor Bart Meyns of [Catholic University]. "A unique hybrid solution with a retroauricular pedestal bail-out provides a stand-out safety margin to move the technology to the next stage. Furthermore, relying on a singular external component may leverage a significant cost reduction for all mechanical circulatory support users," adds Associate Professor Jiri Maly, of the Institute for Clinical and Experimental Medicine (IKEM), Prague. Michael Zilbershlag, CEO of Leviticus Cardio, comments, "We are thrilled to have reached this milestone, which validates our technology's versatility and our go-to-market strategy. It clearly demonstrates the safety and efficacy of our technology in the preclinical stage." 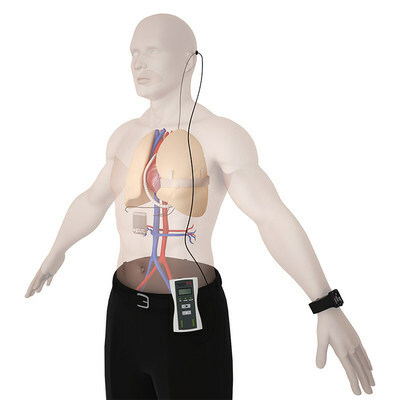 Peter Hinchliffe, president and COO of Jarvik Heart Inc., stated: "The combination of Jarvik Heart's proven VAD with post auricular pedestal and the Leviticus wireless solution are perfectly suited to integration providing the safety and immediate practicality of a truly wireless VAD system."